Trinity Orthopedics, LLC designs and manufactures surgical devices that positively impact patient outcomes and reduce costs per case. Trinity’s COREX Minimally Invasive Bone Harvester is a cost effective alternative to BMP and expensive bone graft substitutes that rapidly procures large volumes of autologous bone graft, the Gold Standard for bone regeneration. 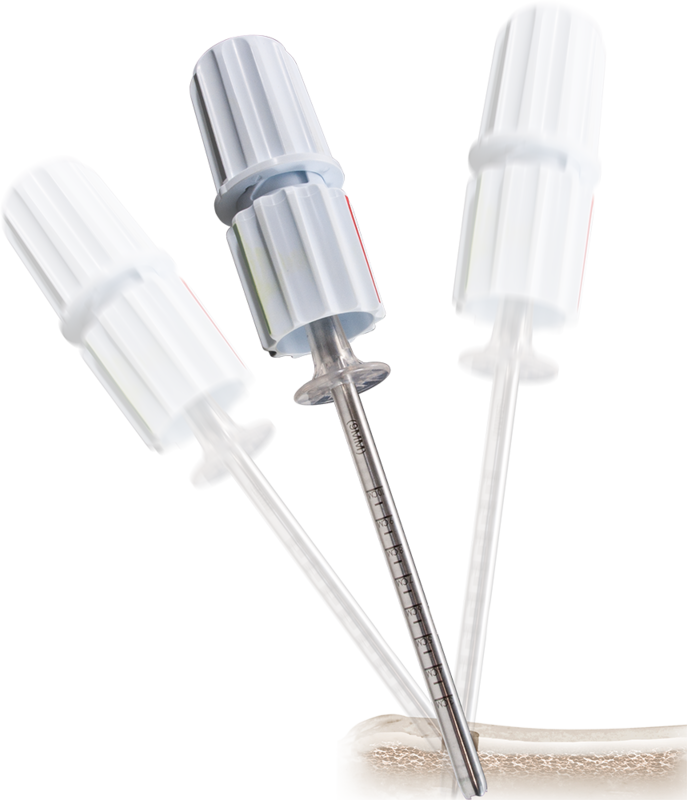 Designed to increase surgical efficiency and reduce operative time and blood loss, the COREX is an intuitive, single patient use device which allows for rapid, percutaneous harvesting of autologous bone dowels with minimal dissection or disruption at the donor site. COREX features a non-aggressive castellated distal tip, for micro-fracturing cancellous bone, reducing the risk for cortical bone penetration.